Technology and the need for collaboration drive people to work anywhere, in a variety of postures. 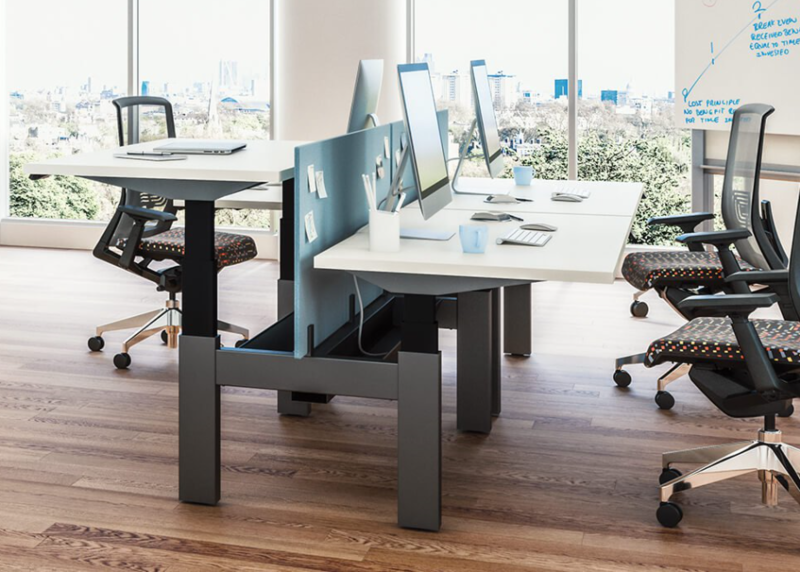 Adjustable furnishings that support their ergonomic needs – like height adjustable tables – help people feel and perform their best. 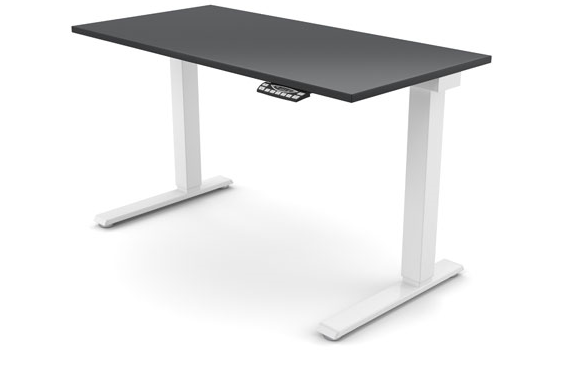 It’s 22″-48″ height range is ideal for large companies who can standardize on one table to fit the vast majority of employees. RISE is available in a wide range of configurations, including 2 and 3-leg tables. The adjustable width frame expands and contracts to fit worksurfaces from 48″-84″, and is available in smaller and larger sizes. The base can be customized to fit almost any size or shape of worksurface. Brings effortless operation to sit/stand desks. Users can easily find the ideal height for health and comfort at the press of a button. 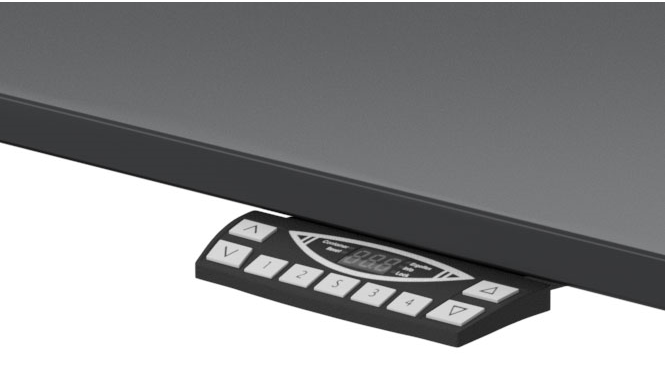 Available with a low-profile analog touchpad, or a digital memory touchpad that can store up to four custom positions, eFloat’s electric drive system is fast-moving and allows for noise-free height adjustment. 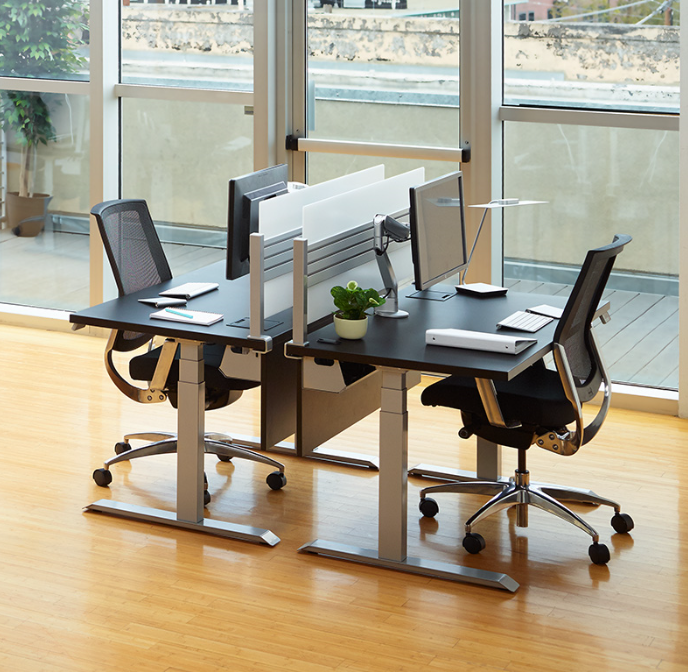 The newest and most exciting member of Workrite’s height-adjustable workcenter portfolio. Featuring their exclusive European manufactured industrial design, an inductive touch control switch with 6 memory presents, and adjustable stretchers that provide greater flexibility for work space design.